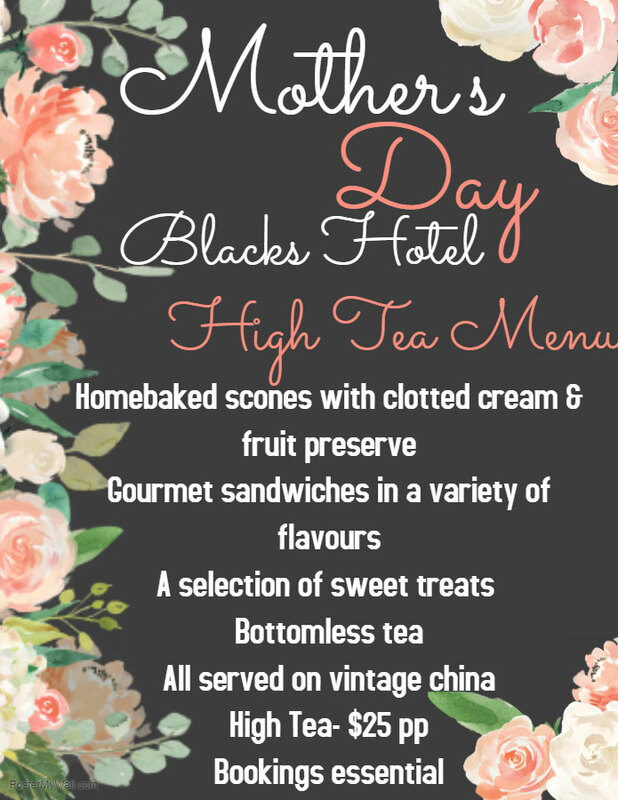 Our Mother's Day High Tea starts at 2pm, Bookings essential. 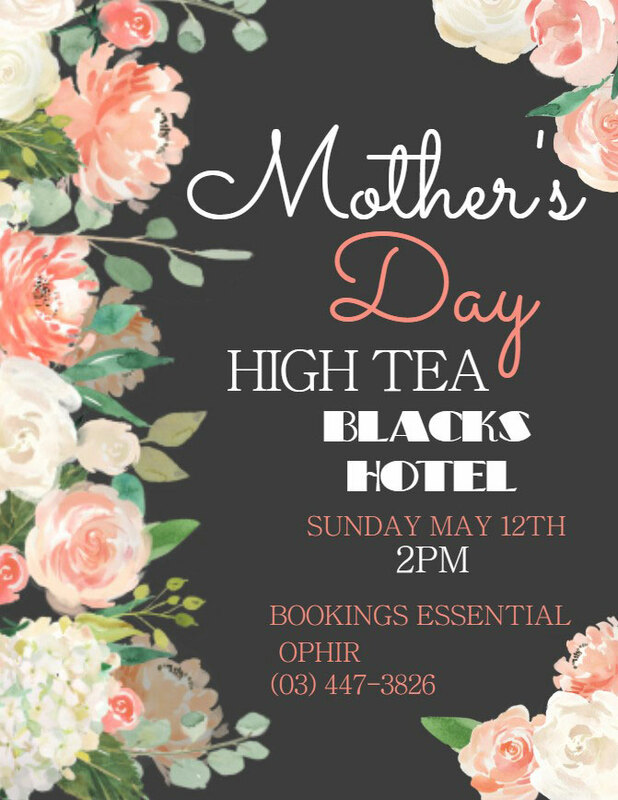 Our Mother’s Day High Tea is the perfect elegant way to celebrate all Mum’s this year. With Blacks Hotel bringing their own quirky twist on the traditional English high tea, the fine details will not be missed with our English interior designer in charge. From the homebaked scones, delicate sweets, to a fine English tea set- this day is one to book in for as we are sure it will be a sell out! 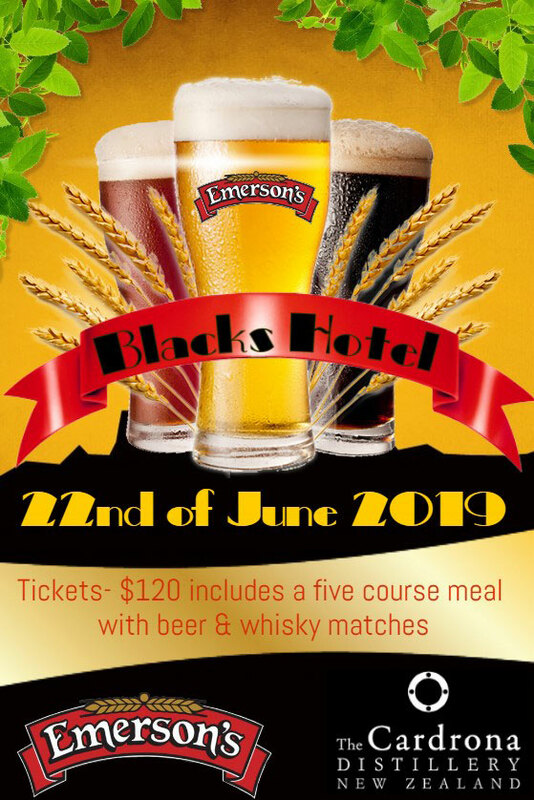 22nd June 2019- Food, Beer & Whisky matching, sponsored by Emerson’s Brewery & Cardrona Distillery. Our third annual Emerson’s night hosted by Richard Emerson & the Naked Scotsman is bound to be a sell out! This night celebrates incorporating the different flavours of food with tasting the range of Emerson’s craft beers & national-international whisky’s! We are proud to announce that Cardrona Distillery have jumped on board this year to bring along their new ‘Just Hatched’ whisky. Tickets are $120.00 per person, this includes a five course meal & all beverage matches. Tickets are now on sale and can be purchased in person at Blacks Hotel, payment over the phone or via bank deposit. Part-payment options are available. Bookings are essential, no tickets will be sold on the night as this successful local event has been a sell out for the last two years and we are sure that it will be better than ever this year!